There is a high threat from terrorism in KSA. Attacks could be indiscriminate, affecting western interests and places visited by foreign nationals. In December 2015 Daesh/ISIL released videos calling for attacks in Saudi Arabia. Opportunistic attacks on Saudi or western targets are also possible. The troubles with Yemen to the South continue to cause significant issues. 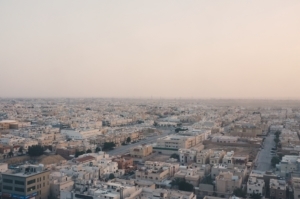 Although the crime rate in Saudi Arabia is low, there have been some isolated incidents of more serious crimes.. On 14 November 2015, there was an attempted kidnap of a UK national in Al Khobar. Standards of driving are poor on KSA and there are a high number of serious accidents. ETS has trusted and proven local bi-lingual executive protection specialists and security drivers within Saudi Arabia. We are able to operate within Riyadh, Jeddah and Dammam.